Authentic Affiliate Home Businesses Opportunities – Do They Still Exist? Have you signed up for a money making affiliate program only to wake up one morning to find that you cannot access your affiliate back office then you discover that the business has closed owing you money? If you have been online for over six months and you have escaped being scammed, count yourself very, very lucky… Do authentic Internet home business opportunities still exist? Internet scams come in all shapes and sizes. It seems that every day a new one is invented. But scams are not the only way to lose money on the internet, you can sign up for a legitimate affiliate program only to discover that the affiliate merchant’s support is inadequate and it is difficult to get the information you need to successfully conduct business. In order to survive as a home business affiliate one has to do due diligence before signing up for any affiliate program. Due Diligence is the process an affiliate uses to investigate the attractiveness of an affiliate program, it’s legitimacy, the quality of management and support and the risks associated with the program before you invest your time and money. It is a complete investigation and review of the affiliate company you wish to join. Prior to joining any affiliate program, you should conduct “due diligence” not just into the program but into the company offering the program. You have to ascertain whether the affiliate program has a history of scamming, inaction on abuse reports, or privacy violations. Due diligence should include the examination of archives of discussion lists, and forums. You should carefully examine the Affiliate company’s website. Is there a street or city address! Can you contact the affiliate company via email or phone? Look for photos and names of the owners of the company. Not having photos, names and contact information on a company website is very suspicious and a good reason not to join that company. Enter the Company’s name plus the word “scam” into a couple of the major search engines and read through the results. Be careful while doing this as there are sites and forums that are unfairly negative toward all Affiliate companies. Ignore these sites and only search for good, relevant information. Visit the Better Business Bureau’s web site. Check out the number of complaints the Better Business Bureau has ‘not’ resolved for the company you are investigating. More than three unresolved complaints is cause for alarm and will usually mean problems for you. If you see, hear or even feel a “Get Rich Quick!” scheme …RUN! If it sounds too good to be true, it usually is! 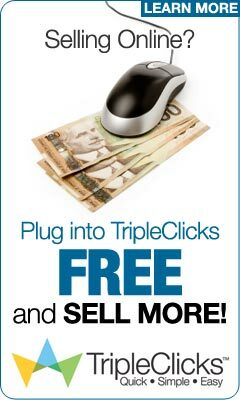 You will not get rich quickly marketing affiliate products or promoting home business opportunities. Getting rich on the internet as an affiliate in the home business industry usually involves smart marketing tactics, education and hard work, like any other kind of successful business. There are many authentic affiliate companies on the Internet that will allow you to make a handsome income working at home but you have to conduct due diligence and choose very carefully before signing on the dotted line.